Welcome! I am a Naturopathic Doctor, Master Herbalist, Certified Nutritional Counselor and Reiki Master who has healed himself of Lung Cancer (a 5 inch diameter tumor in my right lung), Stage 4 Metastatic Melanoma, multiple cases of Lyme Disease and co-infections (with Bullseye rashes), naturally with imagery, visualization, Reiki, diet and lifestyle changes, metabolic typing (very important), along with supplements, enzymes and herbs, and himself and others of various infections and illnesses (including drug-resistant TB in the brain and both lungs in a patient who allopathic doctors did not expect to survive) using natural methods. Note: do not email me unless you would like a personalized protocol (free with a suggested donation of $250 towards maintaining this site). Instead, please take the time to research the information on this site that I have made available to you for no cost to you, and take charge of your own health instead of delegating it to someone else and then just trying to chat with them without making the necessary changes to your diet and lifestyle that require a lot of self-discipline and learning on your part. People have wasted thousands of hours of my time (I get several hundred emails/day, many of them continuing chain emails from this site) because they wanted me to do some research on the internet for answers to their questions, or wanted me to retype the information that is already on my website piece-meal into emails -- probably because I did not charge them for my time. I will not do this any more. Colleagues charge $650 for a 15 minute consultation, and say that people are sending countless emails for every aspect of everything that they should be looking up themselves because it doesn't cost them anything. Important: The government and globalists have divided us and have us all hating and fighting each other on purpose, so that we won't notice what they are doing to us! They want you DIVIDED. DIVIDED by RACE. DIVIDED by RELIGION. DIVIDED by CULTURE. DIVIDED by POLITICAL AFFILIATION. They want this because DIVIDED YOU ARE WEAK. TOGETHER YOU ARE STRONG. YOU, THE PEOPLE, HAVE THE POWER. This is the greatest story of our time. You have the choice of either scratching your head in confusion when seeing events unfold, or looking at the information provided by Q to understand the real story. The good people of America, Left and Right, Democrat and Republican, White or of color, young and old, pplice vs us, are witnessing the take-back of America from a large number of very powerful criminals who have been destroying society and the world for several decades, maybe longer. Don't be a sheep. They want you divided. They have been working to divide us forever. (That way, we fight each other -- black against white, young vs old, men vs women, etc. and don't notice what they are doing to us. Instead, we should UNITE against them and stop letting them enslave us!) It's time to wake up and experience true freedom instead of the fake kind we have been living under. Q has been a fun distraction for those who follow world events and desire truth, but it is about to begin a much more important and necessary phase - keeping the public informed when the Deep State war breaks out onto the surface. By this, I mean high-profile arrests. Yes folks. The criminals I am referring to are famous politicians, actors, singers, CEOs and celebrities. People who have earned our trust, respect and admiration. They have done very bad things that are all fully known and documented, and they will be severely punished. Those of us who have followed Q since the beginning will be here to help you make sense of the coming events. We are among the first to realize that our petty partisan divisions are just trivial distractions, and we are all enslaved by a hidden enemy. We realize that the problem was never Capitalism or Socialism, Democrat or Republican, black or white, Muslim or Christian, police vs us. [This is the tactic of "class warfare" that they use to divide us. We need stop fighting each other and instead ALL unite against them instead!] We know it was just very powerful criminals who had too much power and were crushing us under debt and asinine entertainment, Fellow slaves. It's time to buckle your seatbelt, recognize your true enemy, and embrace a new future that we all owe to the brave patriots who risked their lives to achieve this victory against the greatest force of evil the world has ever seen. My complete Cancer Protocol, and for no charge: supplements, foods, lifestyle changes that I used to beat the same genetically-predisposed lung cancer that killed my grandmother, father and sister (who used radiation and chemotherapy for it). [See the main "Cancer Protocol", Vitamin C Protocol Cancer page, "Cancer&RawFoods", "Cancer Info", and "Cancer Info2" pages.] I also include the protocols with which two people beat pancreatic cancer, which is even today incurable by conventional medicine, (Search for "Pancreatic Cancer" on the "Cancer&RawFoods", "Cancer Info", "Cancer Info2", the main "Cancer Protocol", and on the Vitamin C Protocol Cancer pages), as well as protocols for Diabetes, Arthritis and other degenerative illnesses. Healthy Oils are very important, also. Fish oil oxidizes at room temperature outside your body, and oxidizes as soon as it hits your stomach, increasing free radicals. See this article about Arctic Ruby Oil and other healthy oils you should take instead. Other sites have "teasers" to get you to pay and order the complete information: none of that here! It's all available and for free because I believe that our Creator wants us to help each other. Reiki, Imagery & Visualization: See the section in my Cancer Protocol page about imagery and visualization where I teach you how to perform this simple but powerful immune-boosting technique yourself. I used to offer distance healing, but it has been my experience that hands-on healing is much stronger, and I would rather empower you with the knowledge of providing healing for yourself and others. Using herbs, supplements, enzymes, homeopathy, magneto-therapy (magnets), colored light (another form of energy that stimulates the chakras, or energy centers of the body, similarly to Reiki) in order to help support the immune system and various organs and systems of the body during various illnesses, including cancer, hepatitis, liver disease, infertility issues, high cholesterol, diabetes, epilepsy, ADHD/ADD, vaccinations (their side effects, and alternatives to them). Other complementary information that can be used to augment conventional therapy, or which can help with ailments for which conventional medicine either has no cure or is minimally effective with many side effects. This is very serious; chemtrail spraying (geoengineering) has destroyed much of the ozone layer which is responsible for our protection (plants and animals), and we quite well may be beyond the point of no return. The UN at a CFR meeting years ago asked the US to not to proceed with spraying us with toxic metals until the safety of it could be tested. They warned that once started, it may be irreversible with disastrous consequences both if continued and if stopped, but the US and other NATO nations ignored them. (I have some links to the CFR meeting transcript and video on this webpage: http://www.distance-healer.com/Chemtrails.html) As if that is not enough, globalists are planning global wifi to help destroy the rest of the ozone layer. Please share this information with friends, family, and your legislators before it is too late! For more information about this and about the dangers of 5G, WiFi and cellphone microwaves, and to help stop them from being implemented in your country, please see http://www.distance-healer.com/Chemtrails_5G_GMOs.html, as well as the articles at the following links, and also share this information with as many people as you can, as well as your legislators and the White House, and warn people that 5G will cause a huge increase in cancers. I would like to warn people who use a cell phone to not use them in a car or elevator because the phone goes on maxiumum power trying to escape the metal box in order to reach a cell tower, and the microwaves bounce around the metal sides (just as they are reflected inside a microwave oven) until most of them are absorbed by you, causing hormone disruptions, DNA damage, brain tumors and cancer. It's especially dangerous to keep a cell phone on and near you when you are sleeping (like some kids do -- even if the phone is some distance away with wired earphones because they conduct the microwaves right into the brain), or to keep it in your pocket (or bra) when it is turned on. People should minimize cell phone and wifi use (better to use wired router connections to computers, like they are changing back to in Europe for school children for info about this, as well as many scientific papers that you can use to try to convince your children's schools to go back to wired connections to protect the kids: see https://www.electricsense.com/, minimize use of the cell phone (get a landline and wired routers for your computer), and you should use the phone on speaker phone and hold it at arm's length from the body in order to reduce microwave absorption by the body (the inverse square law of power says that holding the phone 5 times farther than against your ear will reduce the power absorbed by you to 1/25th of what it would otherwise be [1 /(5 X 5)]. See the https://www.electricsense.com/ website about wired earphones and BlueTooth also being dangerous, and also see http://www.distance-healer.com/Chemtrails_5G_GMOs.html for direct links to these and other related articles, the dangers of GMOs, 5G, WiFi, Cell Phone Microwaves, and how to protect yourself and loved ones, and what you can do to help (including what to say to your legislators, handouts and scienfic papers to help convince schools to protect your children like they are now doing in other countries, etc. ), along with links to Anti-Radiation Phone Cases & Protective Laptop Covers, Cell Phone Stands, Safe Blue Tube air tube headset, air tube headset cell phone, Smart&Safe� Hollow Air Tube Hands-free Headset (Reduces 98% of Harmful Radiation Emissions Generated By Cellphones), etc. Thank you for your efforts to share this information in order to help warn and protect people! Islam in a Nutshell and Islam for Dummies, and some information about how the DOE is forcing Islam on our children in US Schools, and how they are intentionally dumbing our children down and indoctrinating them instead of giving them the same education they give the globalists' children: http://distance-healer.com/Schools2.html (More on http://distance-healer.com/115.html and on Islam Primer: http://distance-healer.com/ReligionOfPeace.html Also, there is some information about the black racism and white genocide that is happening in South Africa, where white farmers are being raped and murdered, with their farms taken by blacks who then don't work the farms but demand welfare on http://distance-healer.com/Schools2.html (This class warfare and racial hatred is most likely being instigated and stoked by the globalists, also.) No one is mentioning this because of misguided 'political correctness', but if it were the other way around, you'd never hear the end of this, and rightfully so, because the news and globalists should not censor true genocide and racism (vs false flag 'racism' and 'white privilege' that are made up for political purposes in order to manipulate us by setting one class against the other, a la Saul Alinsky's class warfare technique, so that we don't notice what our politicians and the elites are doing to us.) Don't fall for this; the globalists want chaos and class warfare. They want blacks and whites to hate each other, as well as young vs old, one gender vs another, one religion against another, one nationality against another, and even pitting one nation against another, etc. 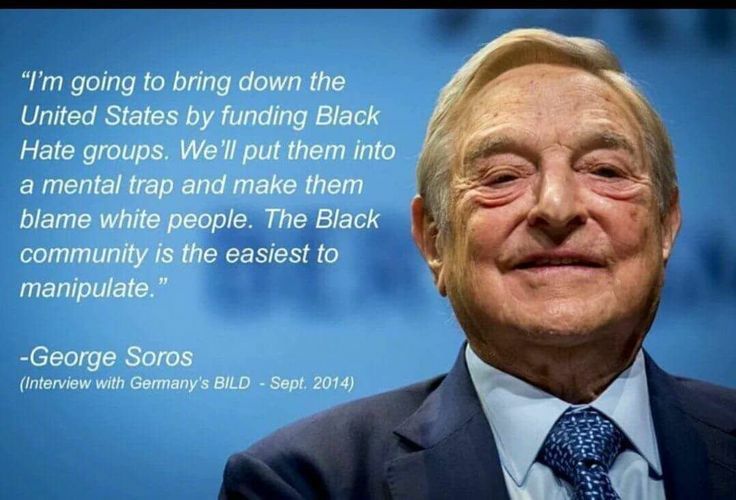 The globalists are doing this; Soros has even admitted it! Instead, let's join together and work together against the people who actually making us hate and fight each other, the globalist 'elites' (along with the politicans and pope, who were paid off and controlled by them), and their New World Order plan that will enslave us all, no matter what skin color, race, age, gender, religion, nationality, etc. that we are! We're all in this together: all people in all countries. Let's stop fighting each other and instead resist our coming enslavement by the globalists by constantly monitoring what our politicans, the globalists and the UN are doing and contacting them whenever they try to implement NWO plans, including Agenda 21, Agenda 2030 (educate yourself as to what these are, so that you recognize them), gun control, one world government, one world religion, etc. and contacting them frequently to let them know that they are accountable to 'We the People', not to the globalists, or they will be out of office next election!) Note: they are in the process of implementing the NWO in almost all countries (except perhaps Iran and North Korea), so we all need to be eternally vigilant and work together, or we will lose our freedoms and even our God-given rights. Once they take away a freedom, it's extremely hard to get it back; it's best to be watchful and not lose them in the first place. �Eternal vigilance is not only the price of liberty; eternal vigilance is the price of human decency.� - Aldous Huxley, in an introduction to the 1965 radio version of his novel Brave New World. Unfortunately, most people won't even take the time to read a book (or the information on my website) even if their very life depends upon it! Many people even emailed me and wanted me to retype the very same information that is on my website and in Dr. Blaylock's book into emails (most of which they did not bother to read, even after I spent what little "free" time I had rehashing the same information and sending it piecemeal); they then decided that it was too much "work" to take supplements and blend their vegetables in a Vitamix every day. The information you need is here: please read it and use it! There is no easy way out of reading and learning what you need to do to help save your life by simply talking for a few minutes on the phone or exchanging a couple of emails: you're trying to undo a lifetime of bad habits and it's going to take some work, and after you beat the cancer, you are still going to have to follow a very good diet and lifestyle and take supplements (fewer than when you had active cancer, but still substantial) to help keep the cancer from returning. Instead of emailing me, please read all my health-related web pages, along with Dr. Blaylock's books, Newsmax articles and subscription newsletters (see my main cancer page for links) and Jerry Brunetti's interviews. One person with Stage 4 cancer that had metastasized throughout her body and actually called and asked me if she could take only one supplement (and without even radically changing her diet and lifestyle) to cure herself of cancer! Unfortunately, many people email and call without even taking the time to read the information that I've spent so much time to make available to all, at no charge, and then expect me to rehash the same information that they would already know if they were not too lazy to read the material first. My time is very limited. I've found that cancer is as much a disease of the mind as of the body. You should not accept being sick; do not "allow" yourself to be sick. Even if you have "bad genes", 80% your genetic tendencies towards disease can be switched on or off by your epigenomes by following a very healthy diet, attitude, spirituality and lifestyle; this requires a good deal of self-discipline (which, unfortunately, in today's society, is in short supply), but I think that you'll agree that the rewards are worth it! Cancer is a wake-up call that things need to be changed drastically -- and quickly! One lung cancer patient who had smoked and drank heavily for 30 years actually thought that all she had to do was to stop smoking, and go right on drinking and doing all of the other harmful things in her lifestyle, eating a bad diet, etc. and have a good chance at beating cancer. When I explained to her that she needed to take a lot of supplements ($10-15,000/year) and eat very healthily, blending mostly organic vegetables in a Vitamix blender, being careful of what other foods she ate, toxins in the environment/ household/ lawn/ cosmetics, etc., she said it was too much work. Unfortunately, this has happened over and over again with many different people to the point that I have decided that I will make the information available to you and what you do with it is your own choice; if your life is not worth doing some very hard work to change years of bad diet, lifestyle and habits, then I cannot help you. The easy way is to pop prescriptions, get radiation and chemotherapy, but we both know that that does not work in over 98% of the cases, and in the majority of the few that it does "work" the cancer recurs later -- caused by the treatment. Please note: see my disclaimer page about the health information on this site.